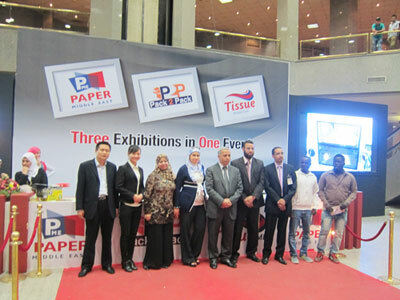 Leizhan will attend the Egypt PAPER-ME 2015 Exhibition which is held at Cairo, Egypt from October 22th to 24th. Welcome all of you come to our booth A13 to communicate the latest technology and equipments of Pulp&Paper Industry with our professional engineers and experienced salesman. Visitors who comes to our booth will get a U-disk which containing the video of Leizhan main equipments and full set of paper production line working site. In recent years, Leizhan has undertaken many paper production project, such as 450t/d paper production turn-key project for Dongxin Paper Mill, 600t/d turn-key project for Hengfeng Paper Mill, 450t/d paper processing line for Iran Pardis Kaghaz Pazh and so on.